Become a first rate ACLS provider with ACLS Pretest! ACLS Pretest is an innovative tool in mobile learning and exam preparation that allows you to study anywhere, anytime, right from your mobile device. 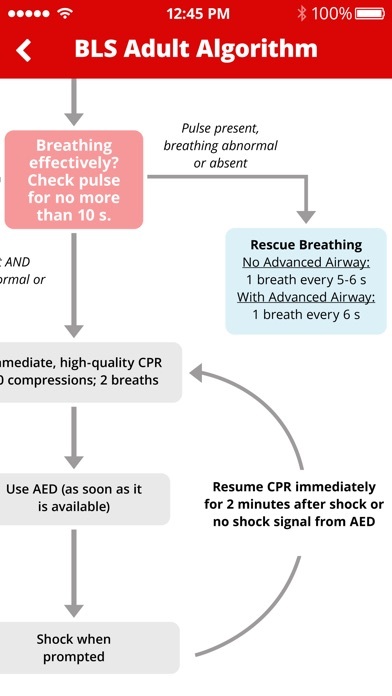 We strive to make studying more efficient by redefining how you prepare for the ACLS exam. 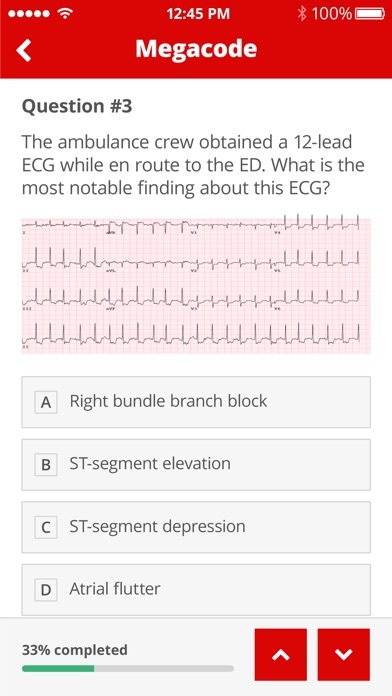 ACLS Pretest has over 500 learning experiences including practice questions with rationale, life-saving algorithms, megacode simulations, and more. 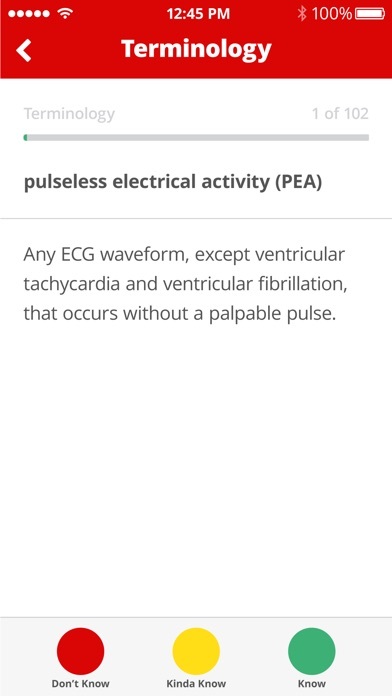 *The content in this app is based on the latest emergency cardiovascular care (ECC) guidelines as published by the American Heart Association (AHA) and determined in conjunction with the International Liaison Committee on Resuscitation (ILCOR). * No network connection required! ACLS Pretest was developed by physicians, nurses, and paramedics. These medical professionals have actually performed codes; they know what it feels like to perform chest compressions, push epinephrine, and use shock paddles. 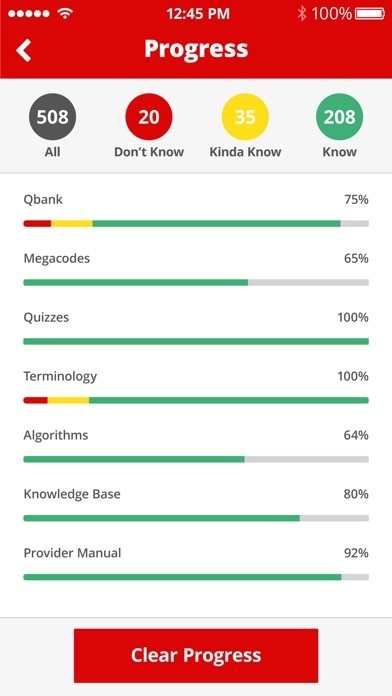 ACLS Pretest has the content you need to be confident during a code. Content and Features: • 350+ practice questions with rationale; immediate feedback to help you learn • 20+ algorithms tell you the best course of action so you always know what to do next • Megacode simulators test your knowledge of the material in real-world scenarios • Accurate definitions for the 100 key terms most often used in advanced critical care and resuscitation • Full length ACLS, BLS, and PALS provider manuals based on AHA guidelines • Progress tracking dashboard tells you what you’ve mastered and where to improve Don’t simply pass the ACLS exam. Let the ACLS Pretest app help you become more confident during a code and learn how to provide lifesaving care when it matters. A Premium version is available through in-app purchasing with an annual subscription. You can subscribe and pay through your iTunes account. Your subscription will automatically renew unless cancelled at least 24 hours before the end of the current period. Auto-renew may be turned off after purchase by going to the ‘Manage Subscription’ page in settings. Need help? Our Customer Success team is available from 8am to 6pm CST, Monday-Friday. Contact us through the app’s support section for a response within 24 hours. I purchased access the premium content and I have not been able to gain access. Please help. 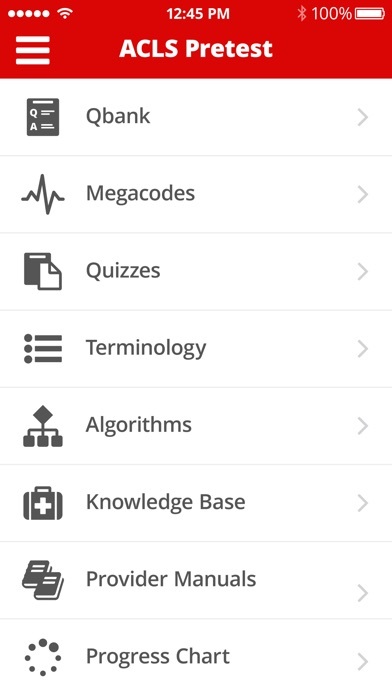 This is a wonderful app that really reenforces the information you learn in an ACLS course. It’s worth every penny.